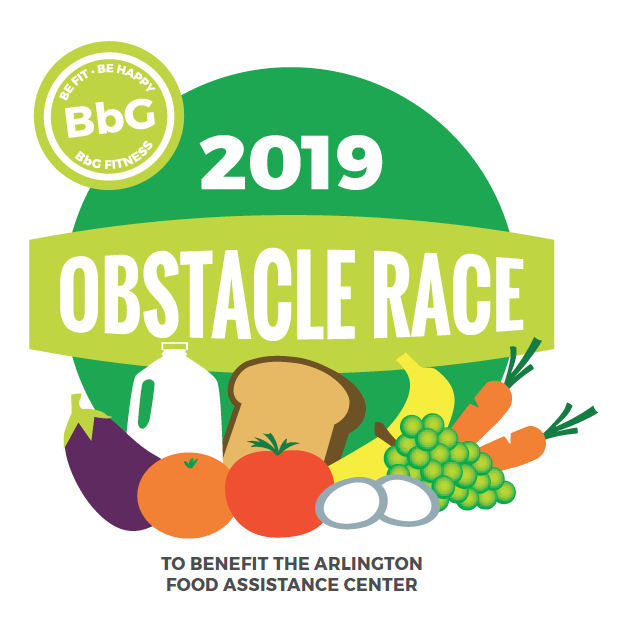 The annual BbG Fitness Obstacle Race was established in 2013 to support The Arlington Food Assistance Center. We donate 100% of our proceeds to help feed our neighbors in need. To date we've donated over $16,000! AFAC is the only organization in Arlington solely devoted to providing Arlington residents dignified access to nutritious, supplemental groceries—free of charge. In doing so, AFAC makes it possible for vulnerable families in our community to devote their limited resources to financial obligations such as housing, utilities, and other basic needs. AFAC now serves more than 2,200 families each week!